"There's nothing you can't tell me." Vertical Entertainment has debuted the first official trailer for an indie teen drama titled Giant Little Ones, which first premiered at the Toronto Film Festival last year and played at a few other international festivals in the fall. The story is about childhood best friends, Franky and Ballas, who are now handsome high school royalty, living the perfect teenage life - until an unexpected event changes everything. This is described as a "heartfelt and intimate coming-of-age story about friendship, self-discovery and the power of love without labels." Starring Josh Wiggins (who you may recognize from indie films including Walking Out), with Maria Bello, Kyle MacLachlan, Taylor Hickson, Darren Mann, Kiana Madeira, Peter Outerbridge, and Niamh Wilson. Looks like a thrilling sexual awakening film. Franky Winter (Josh Wiggins) and Ballas Kohl (Darren Mann) have been best friends ever since their childhood. Now they are high school royalty: handsome, stars of the swim team and popular with girls. They live a perfect teenage life – until the night of Franky's epic 17th birthday party, when Franky and Ballas are involved in an unexpected incident that changes their lives forever. 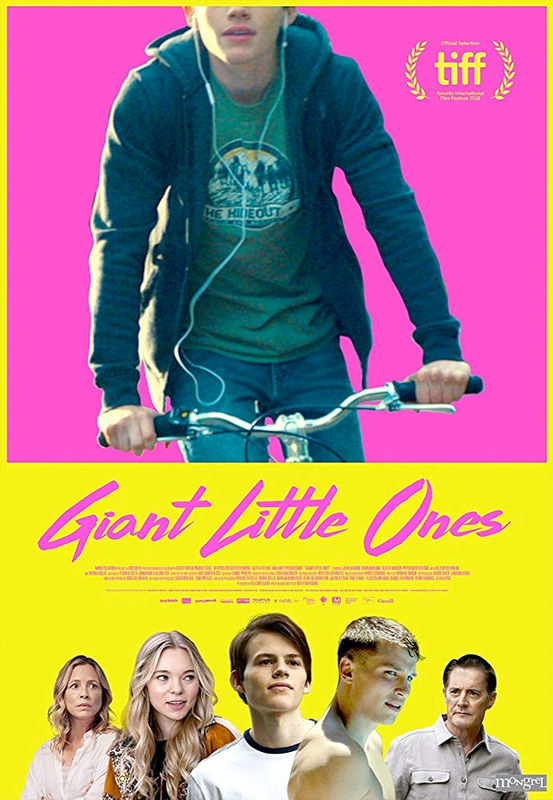 Giant Little Ones is both written and directed by Canadian filmmaker Keith Behrman, making his second feature film after Flower & Garnet previously, as well as a few short films and TV work as well. This premiered at the Toronto Film Festival last year, and also played at the Busan, Vancouver, and Göteborg Film Festivals. Vertical Ent. 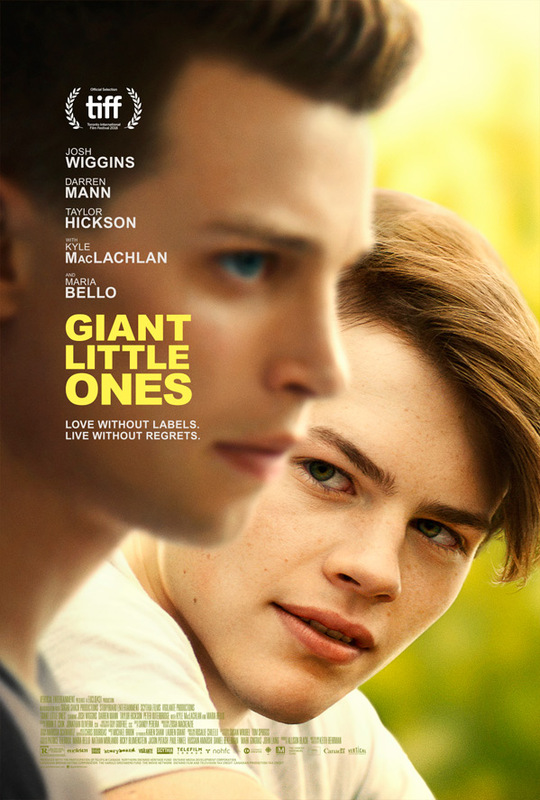 will release Behrman's Giant Little Ones in select theaters starting March 1st coming up next month. Anyone?